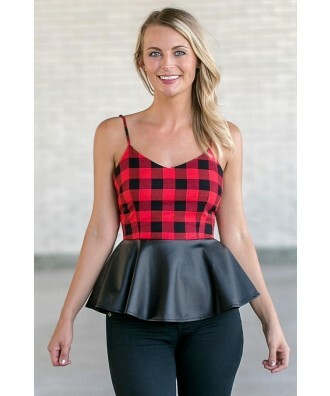 You have added Mad For Plaid Leatherette Peplum Top in Red into shopping cart. We are “mad” for this adorable twist to a plaid top! The Mad For Plaid Leatherette Peplum top is lined at the bust. 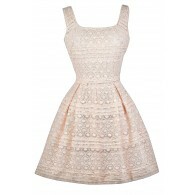 This top has adjustable straps, a slight V shaped neckline and a peplum style. 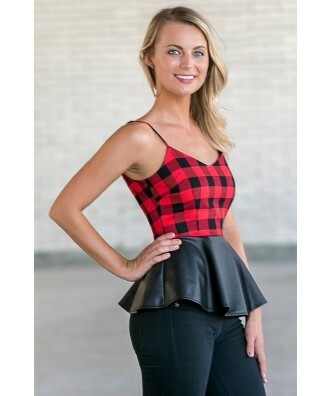 It has red and black plaid fabric with an attached leatherette piece to complete the peplum top. The back of the top has an exposed zipper to add an extra cute detail. Pair this top with black skinnies and a jacket or cardigan. Throw on boots or heels to complete your look. This will be your favorite new top for the Holiday season! Details: Lined at bust. Self: 60% polyester, 40% cotton. Contrast: 65% PU, 35% Polyester. Lining: 100% polyester. Hand wash cold water. Do not bleach. Line dry. Iron low. Do not dry clean. 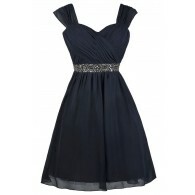 Small measurements: Length from top of bust to hemline: 17”. Bust: 32”. You have added Mad For Plaid Leatherette Peplum Top in Red into Wishlist. You have added Mad For Plaid Leatherette Peplum Top in Red for Stock Notification. You have set Mad For Plaid Leatherette Peplum Top in Red as a loved product. 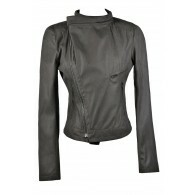 You have removed Mad For Plaid Leatherette Peplum Top in Red as a loved product.